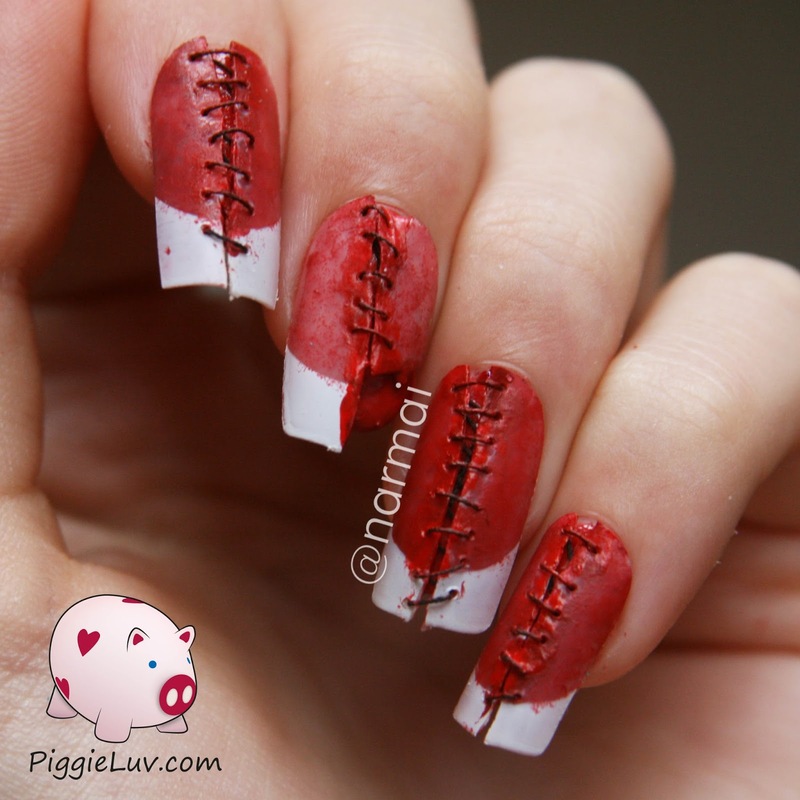 No nails were hurt during the making of this nail art! I used fake nails so you can all breathe again now. In... and out... and in again. They're freaky, right? I didn't want to make them too realistic because that would scare me too badly. Click to see more! 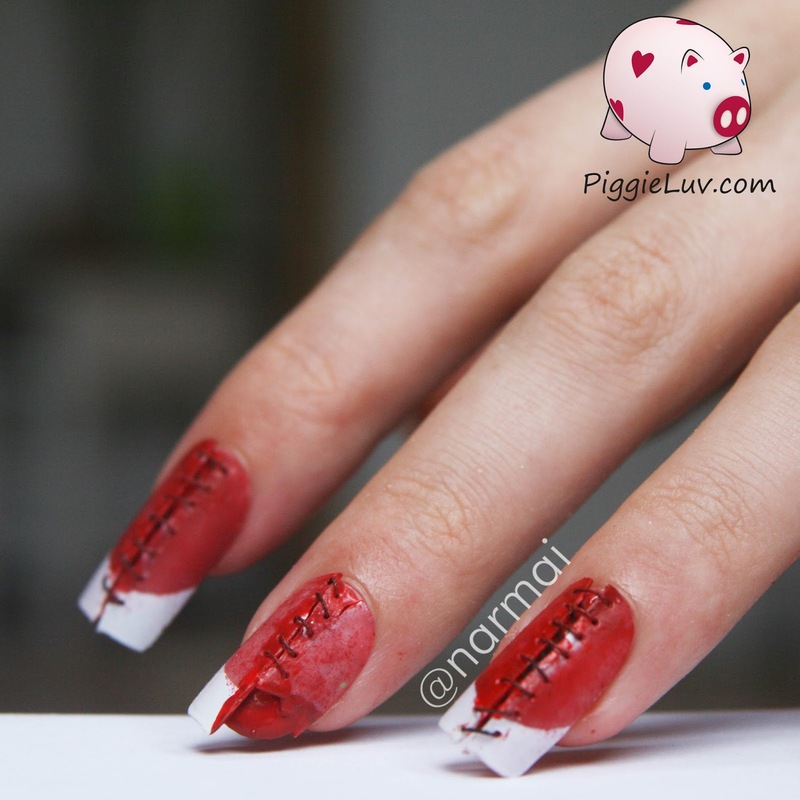 I especially like the middle finger nail, it's so gross with the bit broken off! It's like the bloody flesh is sticking out from underneath while actually that's just my nail. 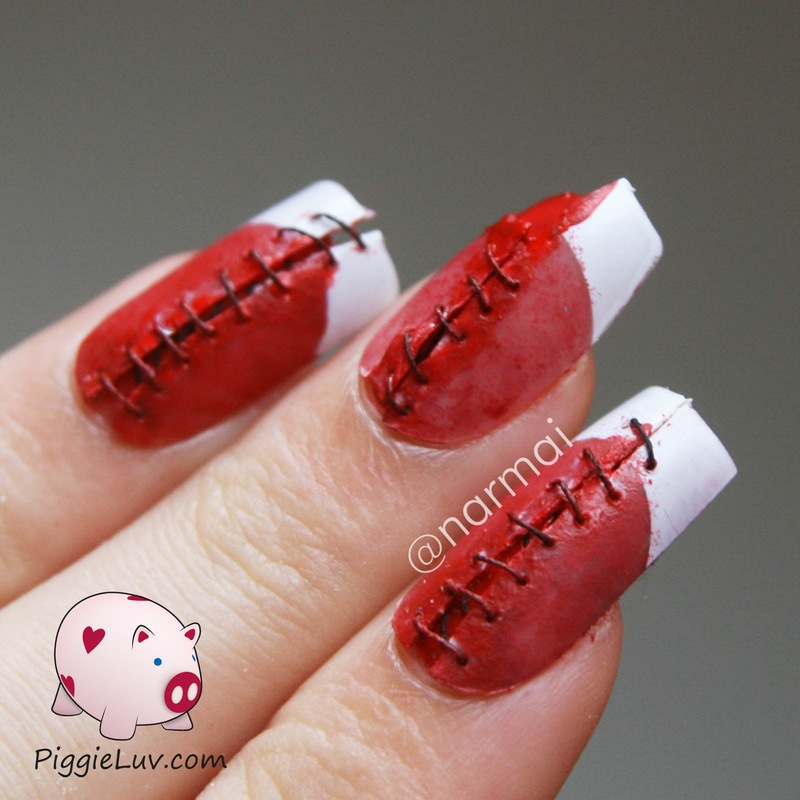 What is the BEST Halloween nail art you've seen this year? Feel free to link to it in the comments!